A bloody new trailer for Rob Zombie‘s upcoming Halloween-set horror film 31 was released this week, as the countdown continues to the special advanced screening of the film coming to theaters this Thursday, September 1. 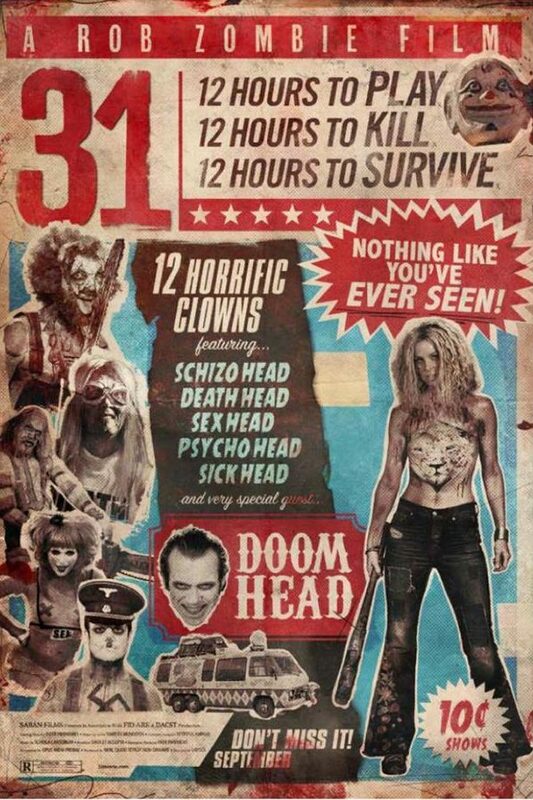 31 will be released on VOD on September 16 and in limited theaters on October 21. You can watch the newest trailer for 31 below, and then scroll down for the previously released first clips, as well as the first official trailer!